Tucked away in the cosy green pocket of Mysore, far away from the maddening commercial crowd, Atmavikasa is a haven for traditional Yoga run by two dedicated Yogi’s- Acharya Venkatesha and Acharye Hema. Their shala specialises in teaching traditional Hatha Yoga which is classic in its lineage and kept pure through centuries. ‘’With a strict adherence to the tradition of Classical Hatha Yoga, we teach with the intelligence of Iyengar, the passion of Ashtanga and the mindfulness of Vipassana.’’ is what their website states. It’s clear that Yoga isn’t a business for this couple, instead it is their way of life and their religion, which they practice with utmost sincerity. Atmavikasa was one of the first International Yoga schools in Mysore to hold teacher training programs and introduce the now famous back bending techniques. 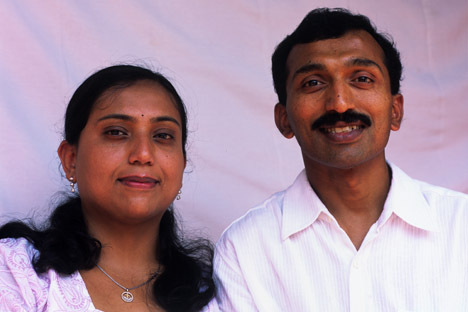 ‘’In 1997 we had our first Teachers Training program. At that time there were 3 people teaching international students – Sri K. Pattabhi Jois, Sri BNS Iyengar and us. No one had heard of Mysore or Yoga. The first Ashtanga course started in 1997 and people started to come in and suddenly everybody wanted to become a teacher. They would learn from us and call it Venkatesh style. We didn’t want to brand Yoga and that was something we were against then and are even now. We call it traditional Hatha yoga. We wanted to have a proper organisation and that’s why we started teacher training. ‘’, explains Hema about the beginnings of their TT program. Yoga is not just Asana and the Atmavikasa shala teaches a full range of Yogic Sciences such as Pranayama, Kriyas, Bandhas, Sanskrit, Chanting and Yoga Sutras. 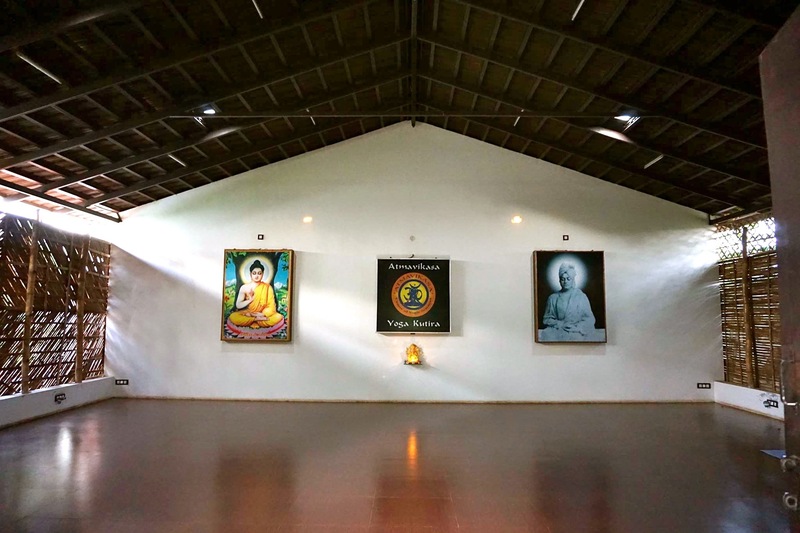 Today, the shala hosts – Teacher Training Program (also known as Masters Teachers Education Program), Yoga Intensives and also a Yoga Therapist course. Their TT program is aimed at those who want to deepen their Yoga practice and would like to further that into teaching Yoga. The Intensives are for those who are looking to deepen their Yoga practice, and most of their students range from beginners to Yoga Teachers with years of experience looking for that nudge of inspiration. The shala’s main focus is to provide quality Yoga programs. For example, unlike popular Yoga schools who run TT programs month after month, the Atmavikasa shala organises just two TT programs per year and limits their intake to a maximum of 21 students. The training runs for a total of 6 weeks and is usually fully booked because of the limited intake. ‘’We have an application process where we ask them a few questions – age, physical ability, injuries, with whom they have practiced, how much they practice and what is their regular style. Minimum of 1-2 years of practice is required before you can think of applying. So it’s an individualistic case.’’, says Hema regarding the enrollment process for the any of their programs. With over three decades of experience in the Yogic Science, the shala confidently claims of a Zero Injury record. On the contrary Yogi’s who study at the shala arrive with the intention of healing old Yoga Injuries. Asana practice to most Yogi’s are a conversation with the physical realm and the trademark of a good teacher is when the nuances of every single pose are explored deeply. ‘’ When I ask them to do Paschimothanasana, they just do it. They know Paschimothanasana physically. But tradition says that your heart should rest, your brain should get sufficient blood circulation and your muscles should relax and your nerves are enjoying the energy in this asana. So when you teach Paschimothansa, you should experience that.’’, says Venkatesha, explaining a simple forward bend pose in Yogic prose. As Sage Patanjali rightly pointed out in the Yoga Sutras, the practice of Yoga should still the fluctuations of the mind. The Atmavikasa Shala imparts the same traditional wisdom, tailor made individually for the modern Yogi. Atmavikasa will be holding a special four weeks Prana Enhancement Intensive Program in the months of June, July and August. As the readers of Yoga.in you can avail a special price if you book their intensives before 21 March 2017. To avail this special discounted price send an e-mail to flavia@yoga.in with Atmavikasa_2017 in the subject line and we’ll get back to you with more details.